Maternity Clothes? Not yet, but I have started to buy some bigger tops for summer. I typically just buy a size up because maternity style clothes fit me funny. 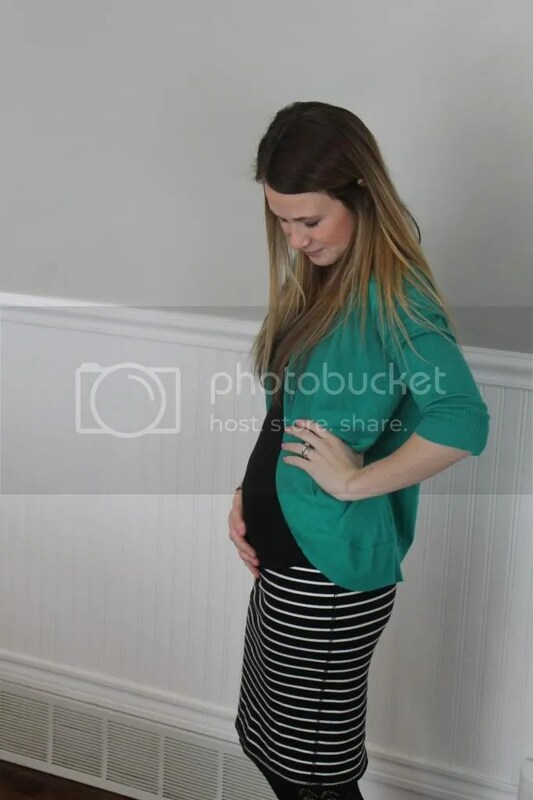 I am looking for some cute maternity capri pants if anyone knows of any good prices or places. Best moment this week? Getting her quilt from my aunt Leslie. It’s gorgeous and so special! I’ll share it with you a little later on in her nursery. Anything making you queasy? nope. I feel sooo lucky to be feeling so much better. It’s crazy how sick you can feel one day and then it just stops. Overall, this week has been great. I’m feeling so much better everyday and I’m loving being able to workout. I had my appt. last week and my OB said everything is looking healthy. We heard her heartbeat, 160 bpm(she’s had the same heart rate every single time). She said I’m measuring a little ahead and so is baby but we’re not going to change the due date till after my 20 week ultrasound. I’m loving my growing belly! I can’t wait for me to be out of the awkward half belly stage so I can wear cute tops that show off the belly haha. what are your must haves for maternity clothes? This entry was posted in Uncategorized and tagged 16 weeks, baby bump, fit pregnancy, update. Bookmark the permalink. This stage doesn’t look at all awkward! You look super cute with that little bump! You’re too sweet, thank you! You’re the cutest!! Can’t wait to see her quilt and what you have in mind for her nursery. Awkward half belly stage, you’re so right about that! I’m in the same stage and can’t wait till I look pregnant enough lol! You look lovely by the way!